Buy Colt SAA45 US Marshal Limited ED .177 |ReplicaAirguns.ca | New Website! Model: SAS45 Peacemaker US Marshal Lim. Ed. Realism: The only way the gun freely rotates is when the hammer is cocked back a little. 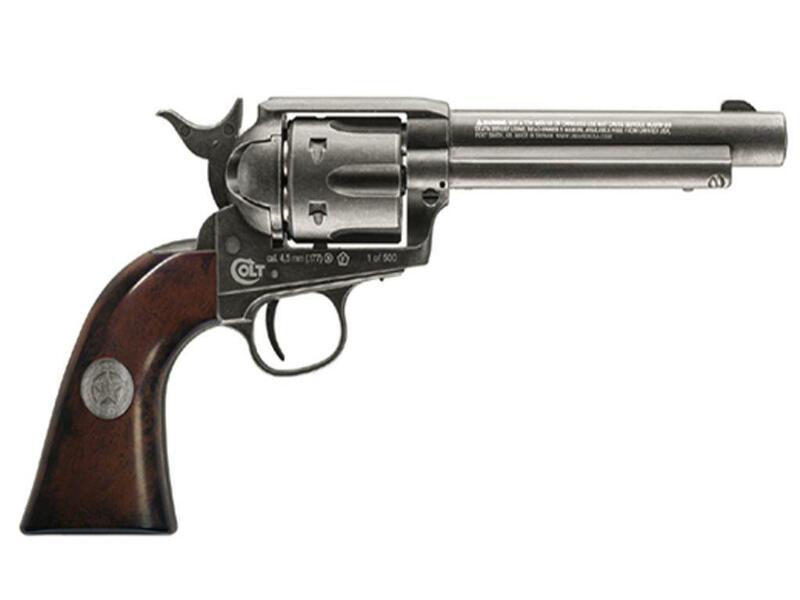 It does not spin like on a typical revolver because there is a spring loaded barrel that has to sit close to the cylinder to create a tight seal; otherwise the gun would not have very much power. That is a little realism given up but not too big of a deal. 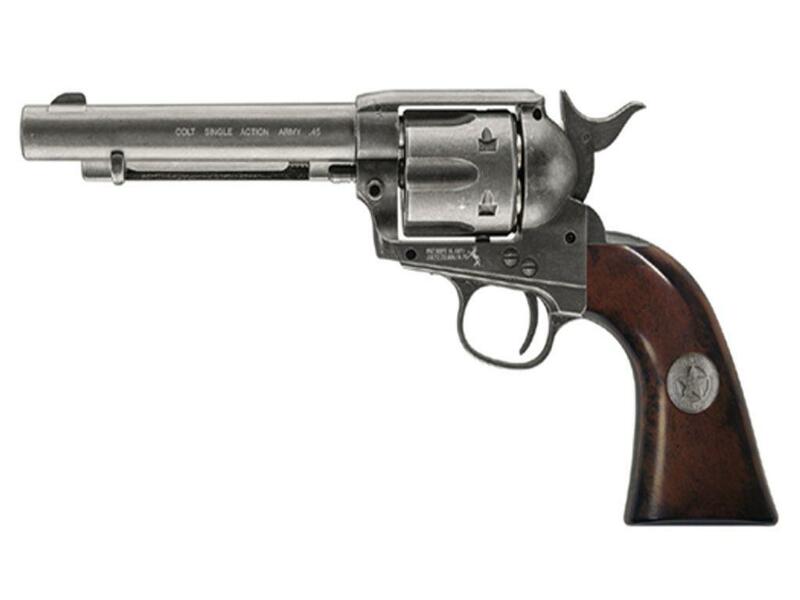 Comments: The Umarex Shell Loading Colt Peacemaker is an amazing replica and simulates the old west cowboy Single Action Only Revolvers in almost every detail. I love the hammer action and the ratchet sound it makes as you draw it back. The Single Action Only Trigger is very light at less than 2 pounds just as it should be.